The Royal Alberta Cage Bird Club is pleased to offer our mentoring program to any new members of the club. The program is designed to pair you with an experienced member or members to answer your questions about housing, food, vitamins, treats, sickness, etc, for your bird or birds. Our club has many members who have a wide range of birds, as well as, years and years of experience and knowledge in the hobby of raising and caring for birds. 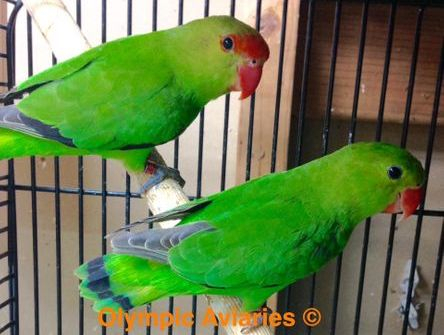 This pairing can save you a great amount of frustration, time and money when it comes to proper care and success raising cage birds. The member in charge of the mentoring program will talk to the club member, that they think would be the most help to you and your birds. Your name will be passed on to the member(s) and they’ll be advised that you may be contacting them with your questions. You will then be provided with the name and contact information of your mentor. Mentor and apprentice are committed to meeting or connecting at minimum once per month to encourage one another. If a Mentor or Apprentice do not carry out their duties, a new apprentice or mentor can be arranged, without any sanctions to mentor or apprentice. We certainly hope, as a new member of the Royal Alberta Cage Bird Club, that you will take advantage of this program. Our hope is that this program will help you avoid as many problems as possible that may occur when raising, breeding and caring for cage birds.